Update: I have responded to some of the comments on this post here. Chalk and cheese, the Islamic militants of ISIS and Anglicans? Actually, they have a lot in common. Remember that Anglicans were, on contemporary accounts, behind the most savage religious persecution in Europe at a time when standards were high: the 16th century. Persecutions are tempered by political realities: you can't be too nasty to too large a section of your population, or you undermine the good will necessary to govern at all. ISIS are really pushing at the limits of what is possible, arousing the opposition of a lot of different people. The Anglicans did the same: their religious measures caused serious rebellions in the reigns of Henry VIII (the Pilgrimage of Grace), Edward VI (the Western Rising), and Queen Elizabeth (the Northern Rebellion), not to mention regular uprisings in Ireland. Their policies were the root cause of a horrible civil war in England, another one in Scotland, and a still more savage conflict in Ireland. If anyone wants to say I'm being unfair, I'll say here right away that ISIS is definitely worse. I'm not interested in moral equivalence, but a conceptual parallel. Let me explain the parallels I have in mind, in three points. Anglican savagery was based on the idea that Catholics were idolatrous, and toleration would bring the wrath of God down on the land. Like ISIS, and unlike the usual 16th century Catholic way of dealing with Protestant minorities, persecution by Anglicans was aimed not at suppressing the public proclamation and promotion of a dissident faith, but at stopping the dissident population practicing their religion at all. They would search out secret chapels in private homes. They would imprison people or even execute them for having a rosary or Catholic devotional book in their possession. The first move of the movement was the destruction of Catholic shrines. This motivation makes the persecution much more savage and the persecutors much more intractable. This is exactly what ISIS is doing and why. Anglican persecutors were always terrified of being outflanked by more extreme groups. From its inception Anglicanism was criticised for being too 'popish' by people who regarded a plain white surplice as unacceptable pomp and the sign of the cross at a baptism as unacceptable ritualism. Any deviation from the most pure form of Protestantism, and the most uncompromising opposition to Catholic toleration, was seized on by these groups, who in the English Civil War and in Scotland actually got the military upper hand, and meted out some persecution to the Anglicans themselves. This fear is at work with Islamist groups as well: they are in a 'race to the bottom' with all kinds of set-ups as to who can be the most pure and extreme. 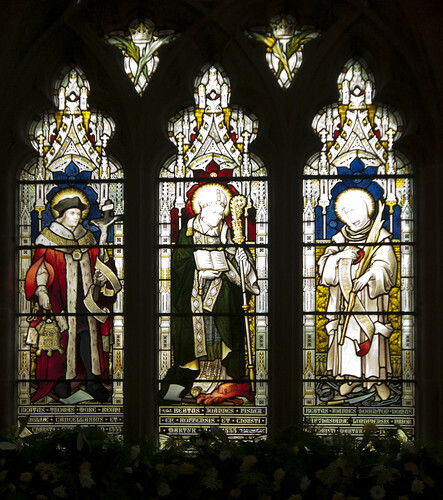 Why, then, did Anglicanism turn into the drippy nonsense we know today? A third point of parallel. Anglicanism produces over time a cultural elite who don't take it very seriously. Protestantism has as a foundational principle Luther's as-ever subtle and charmingly expressed dictum: Reason is a whore. The separation of Faith and Reason means that people interested in Reason - intellectuals of all kinds - are forced away from the Faith. The Protestant suspicion of religious art has the same effect on artists. In the 18th century, people interested in ideas and in art were, as a result, not terribly interested in Anglicanism. They poured their considerable resources into country houses, but by the beginning of the 19th century people began to notice that the cathedrals and parish churches were falling down, and no one had bothered to build new ones for the new industrial centres. As a state church, Anglicanism was for a long time dominated by establishment types who didn't actually believe in all that much, whose successors are the liberals of today. There was a religious revival in the 19th century, but Anglicans were faced with the possibility of reviving in two opposite directions: a Catholic direction, and in the direction of a reassertion of Protestant principles. Both of these tend to lead out of institutional Anglicanism. The anti-rationalism of revivalist Protestantism is exactly paralleled by the anti-rationalism of revivalist Islam, which has the same problem. Having rejected reason and (great swathes of) art as a matter of fundamental theology, historically they have developed elites who aren't very pure in their interpretation of Islam. These elites are then overthrown by zealots. And the process starts again. 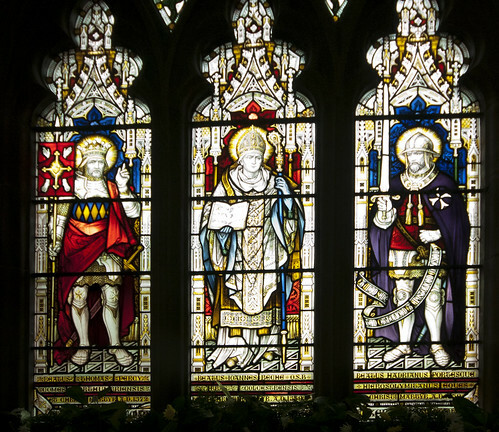 Pictures: Catholic martyrs from the windows of Belmont Abbey. Good post. I came to a conclusion some time ago that basically what is fundamentally errant about Islam is what is fundamentally errant in Protestantism (specifically Calvinism). A belief in Sola scriptura and double predestinaton. Do Muslims actually believe in predestination? I always got the impression they believed everyone had a free choice (they certainly don't believe in Original Sin) and would be condemned if they chose wrongly. It is highly likely that I could be utterly wrong. However if anyone is more knowledgeable be free to correct me. Also they may not quite describe the belief using the term 'predestination'. (bare with me, I am not very good at communicated metaphysical points but I hope you understand my reasoning) Anyhow I am of the understanding that they have a huge emphasis on the 'will of God'. This leads to a very fatalist approach to tragic events. Couple this with the idea that the Umma is the elect who will be saved and the infidel is doomed to hell. Yes an infidel can convert (I do believe islam believes it is in reality reconverting but that is going off topic) and then be saved purely by becoming part of the Umma. Once converted because he follows the five pillars and makes dawa he cannot, as part of the elect, lose his place in heaven. This seems very much like Calvanism as opposed to Catholicism where our salvation is a process that we have to work daily at and if we know someone rejects the faith and remains outside, the hope for them to recant is open to them until they take their last breath. I do believe that to a Muslim if someone hears the truth of Islam and rejects it they are beyond redemption (this of course includes the aposotate which is why it is considered just that they face the death penalty). Now in Calvinism I believe that they believed those who chose to remain outside of the elect were damned and their rejection was preordained by God so no good crying over their lost. To me two philosophies seem very similar. Anyhow I am no expert in either religion and it is really just my opinion based on my limited knowledge of both. I think Islam does not actually believe in double predestination as the Protestants because they do believe in free-will. According to the wiki article on this topic, the Sunni's have a more Catholic view of predestination whereas the Shi'a have an almost open-theist view where God has not set anything in stone as to how it will transpire (assuming the wiki article is correct on what it describes as the Shi'a view). But at the end of the day, both Islam and Protestantism contain distortions. Protestantism is more heinous in a way since it broke off from the Catholic Church by developing these errors in comparison to Islam which originated outside the Church. You are hereby commanded to remove your Blasphemous photo. Your comments concerning the Crusades are the proof of your Blasphemy. St-Louis IX of France is tired of frauds such as you dressing to insult his Majestic memory. What a deeply offensive, partial and ignorant diatribe, which of course neglects Roman Catholicism's hideous violence in Britain in the C16th, and at many times during its history. Perhaps you see the Inquisition or the Church's persecution of Jews as its finest hour? The Church of England is not in fact Calvinistic; it embraced and embraces a number of theological strands. "Acts" accuses the author of ignorance and partiality then goes onto to make accusations against the Church without qualification or evidence. "The Reformation was a devastation of England which was at the time when this event took﻿ place, the Happiest country, perhaps, that the world had ever seen; but Afterwards marched on Plundering, Devastating, & inflicting torments on the people, shedding their innocent blood;"
"Abbeys, priories, Nunneries, Hospitals & other﻿ religious foundations confiscated by the Reformers and Jews, who brought to England the misery of pauperism through Usury"
As such, the link between mini-isis(durka durka jiiiiihawd) and ISIS(http://www.haaretz.com/print-edition/features/the-cult-of-isis-1.41131) is further confirmed with the sudden concern demonstrated by the rothschild's useful idiots(aka zionist leaning demoncratic govs of the proverbial *west*) as mini-isis approaches Kurdistan. A concern unheard of as Christians(note Catholics) were persecuted in the region. The person masquerading as "acts" is in fact Anathema. A little history lesson for you. The Spanish Inquisition, though tragic, ended up killing around 4,000 people which Protestants are so happy to bring about in talks all the time. One key thing to note, the Spanish monarchy went AGAINST the pope and the magisterium. They took it upon themselves to force Catholicism on others. And this is not proper. And here is what Protestants never talk about. The witch hunts that occurred around the same time. Countries that were becoming Protestant were growing hysterical by blaming women for being witches. Over 60,000 men and women were killed which is 15 times as many during the Spanish Inquisition. (I often wonder if the Spanish Armada did not really lose do to their disobedience to the Holy Father). There was not one person who died at the hands of Catholicism for being a "witch" or "warlock". So, is this Protestant's finest hour? Probably not. It was the killing of all the nuns and priests during the French Revolution. In one regard, atheists are Protestant too, for they completely reject the idea that God exists which rejects Catholic teaching just like Protestants reject the majority of Catholic teaching but just to the extent of Atheists. Good post sir. By the way, I love the stained glass windows. They please the eye. The timing of this post reveals poor taste to say the least. It is wrong on so many levels. Rational arguments aren't made on the basis of sensibility and vague assertion. Simon: Neither are irrational ones. pjl_u2 What on earth are you on? Excellent post, imho. Thank you. Just a little OTT!! Have you forgotten the Crusades? Surely that was Catholics doing exactly the same to Muslims as they are now doing to Christians. This does not mean that ISIS is right but also equally means that the Crusades were not right either. The Crusades against Muslims were to either defend against invasion or take back land that Muslims stole. The occupants of the lands that the Crusades were fought for were actually Christians before Muslims invaded. So the comparison is somewhat invalid. The only case where a valid comparison probably happens is with respect to the Crusades against the Albigensians. In that case, you had a group that was actually promoting a heretical doctrine that not only threatened the faith but the well-being of the peoples because of their moral positions. So that was reasonably a valid military intervention. In the case of Anglicanism, there was no threat to the well-being of the people were not under threat by Catholicisim. Society had functioned quiet normally with practicing Catholics for centuries in Britain and therefore offered no threat of such nature. So the persecution was indeed like that made by ISIS. No it was not! We fought a defensive campaign for four centuries in southern and eastern Europe against Islamic invaders. Then in the late 1090s, the Holy Land fell, and the pilgrims and shrines were under threat. I'm not going to idealize the Crusades (I'm not an expert on them) but we were, as we are now, obligated to defend the practice of the Christian religion. Did things change over time? Certainly. But it was rarely directed against Muslims. We treated the Christian East the worst out of all parties to the Crusades. I agree, David. The post is badly timed and quite extreme. To describe Anglicanism as "drippy nonsense" is needlessly insulting to many thousands of sincere, good living, well meaning Christians. To say that Catholicism never threatened the English State ignores the burnings at Smithfield, the Northern Rebellion dedicated to the overthrow of Elizabeth and her replacement by Mary Stuart, the Spanish armada, and the Bull of Excommunication which "relieved" English Catholics of their loyalty. Not to mention the Gunpowder Plot. The persecution of English Catholics increased and decreased throughout Elizabeth's reign in direct reaction to the above events. For much of the reign, Catholics were left in peace, although the wealthier were under financial pressures. No, Mr Shaw, you have crossed some sort of barrier. It is about time that we Catholics, who have much more in common with Anglicans, than with the atheistic humanism stalking our land. Please think again, you ahve hurt many good people. We have common things with Islam as well. So I don't think playing the "we have so much in common card" is that great. 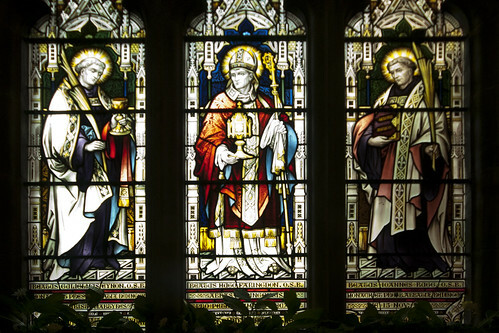 As for "good" Anglicans, assuming they follow Anglican doctrine, then they are highly unlikely to be living well considering that the Anglicans approve of many disordered things (ecclesial and moral). The Atheistic humanism stalking around is all thanks to Anglicanism (or Protestantism in general) as this article highlights. I think you have ignored that bit. In any case, in general terms, Anglicanism shares one common trait with Islam. They are both errors and distortions of the truth that have set about persecuting those who hold to the truth. We should at least recognize that much I think. Actually Mr O’Neill the Crusades where only called after two thirds of the Christian world was conquered by the Islamic sword, In 1095 Western Christendom had to either make a stand or be subsumed as North African, Iberia and Eastern Christendom had been. It’s about time ‘Christians’ started to really understand their history before attacking Catholics and you should be very grateful to Catholics for saving Europe. Know your history first please, Oh I forgot most get their knowledge of history from the BBC – enough said. My Cornish Catholic ancestors were virtually wiped out during the Western Rising just because they wanted the Mass in Latin. Thank you, 1569 Rising. In response to T-C & Matthew Rothe I think that the fact that Crusaders were encouraged to murder Muslims (& they largely were) & that those Crusaders needed little encouragement, speaks for itself. If we are to say that Crusades were to protect Christian sites in the Holy Land, where does that leave the Jews. Don't whitewash facts, England was equally barbaric in the Middle Ages against the Jews in England. What were we protecting - and please don't say the purity of Faith; Faith is strong enough to withstand such things, ASK THE RECUSANTS!! I am not quiet sure what you are trying to say here. It is historical knowledge that Muslims invaded Christian lands. Are you suggesting that the Church should have just let it happen? IF your point is that Muslims were killed in the Crusade, I think that is like stating the obvious since any war has casualties. So can you elaborate what exactly you find problematic about the Crusades? This is not a matter of "saying" what it was for but acknowledging the historical basis for the Crusades. Sorry T-C but you really have to go back to basics. Christian Crusaders were categorically told that if they died on crusade they were GUARANTEED a place in heaven. Come on!! But before Christianity existed surely the Holy Land was the home of the Jews? Who displaced them? The kind of warfare displayed by Crusaders can hardly be called defensive (defending the Holy Places?) & even accepting that Muslims overran the area can we justify the wholesale slaughter which took place. I'm not defending ISIS in any way but don't you recall the forced conversion of Jews & Muslims in the Spanish lands? This blog doesn't just lift the stones about Anglicans it lifts the stones & displays what is underneath those stones of many other such scenarios. Please don't be naive, there has always been bloodshed in so-called 'religious wars' but that doesn't make ANY OF THEM RIGHT!! Why does 'LMS Chairman' pick on the Anglicans - and I say that as a fully paid up member of the LMS!!!!!!! The Holy Land is not the home of the Jews. Are you entirely innocent of the Gospel? I think you have to clarify exactly what you are trying to say. If your problem is with Crusaders being given plenary indulgences or some encouragement that they would be guaranteed a place in heaven for defending the Church, I fail to see what you have issue with. Both seem quiet correct to do. Second, you seem to have a problem with what you term the "whole scale slaughter". In case you are unaware, wars have casualties. Often times, it has collateral damage. To blame Crusades as evil because of it is like blaming Americans as evil for their collateral damage and slaughter of German forces during World War II. In short, as long as the Crusades were understood and approved on principle as defense and reclaiming of Christian land that was taken by Muslim invasions, there was nothing wrong with the Crusades. Every good cause has individuals with corrupt motives who will sneak in their evil agendas amidst it. But that does not mean we condemn the cause itself. In that respect, Anglicans actually held as their objective and final end in their persecution the destruction of the Catholic faith and it's adherents in England. On the matter of the Spanish, the idea of a state run inquisition was spoken against by the reigning Pope at the time. He only withdrew his bull because of, guess what, Turk invasion pressing on Rome and the need for military help. So that is a classic example of a State using their power to force the Church to stay quiet. Ironically, it is what Henry VIII had in mind too but the Church didn't bow to him in that case because there was doctrine on the line (in the Spanish case, it wasn't). But just like the Spanish and WORSE than the Spanish, he went off the rails and began a lie which will result in the persecution of Catholics who had been in the same land and were in-fact the holders of his very own faith. Now perhaps you still not convinced. So I want to state the following. The Catholic Church, being the true faith, does have a right and duty to protect the faith and her faithful. She can use coercive power to do that as well. The Anglicans, Muslims and other faiths do not have that right because they are in error. Now you might say, well they think they have the true faith!!! But the difference with the Catholic faith is that it can be seen as the true Church through reason. But the other faiths are merely arbitrary or distorted beliefs that require leaps in reason. Protestantism itself admits that "reason is a whore" (as cited in this very article). So needless to say, without reasonable grounds to say why ones faith is the true faith, there should be no reason for protecting it and it's adherents against other contamination. There is no "right to be in error". PS Ever heard of Smithfield???????????? Well what about Smithfield? The fires of Smiithfield continued to burn long after Mary had died, in fact they burnt into the early Eighteenth Century. Many of the Protestants burnt under Mary were guilty of treason in any case and merited hanging, drawing and quartering, a far worse fate than burning (which was effectively death by asphyxiation from smoke inhalation in most executions). Catholics of course were condemned for treason (spuriously, since when was hearing or saying Mass treasonous?). The value in what you say, I think, is in outlining a potential dynamic about religious groups in reaction to other philosophical or religious systems when military or state power is thrown into the mix. The downsides of what you say are not recognising similar dynamics operating when RCC has had state power and has reacted (badly) to other religious systems. I think that most of the criticisms laid out above would apply to the surpression of Cathars (for whom I have no particular brief), the Lollards, the Huguenots ... I'm afraid the list can go on. And that's just the first thesis. As for some of the others ... well, the Borgias ... the need for Franciscan revival ... again I sholudn't need to say more. We should perhaps just recognise that in the era of Cuius regio, eius religio, everyone was misemploying state power to terrorise dissenters and a lot of the dynamics were similar because they are political realities. The other main way that the piece is problematic (and exacerbated by some comments) is the very partial account of Anglicanism which amounts to a false essentialising. The result of these two matters is that the piece comes over as a bit offensive (that's Anglican understatement for you). Obviouly I'ill leave to one side (save for this sentence) the snideness that arises from a presumption of the correctness of ones own position: it may work for other RC's but it is a shame that it draws attention away from the real insight at the base of this post for the rest of us. I'm an Anglican priest and I can tell you we are not perfect. We're broken and marred and should be in a state of perpetual penitance. Dear Lord, if only we had a perfect history and a perfect pedigree like other Churches. Cheer up Rev! The BBC thinks your perfect, all the bad things are done by us Catholics – Cornish Catholics were never massacred for refusing to accept the Book of Common Prayer, the bishop of Truro did not give a half-hearted apology for the hanging of fully vested Catholic priests from their West Country steeples and the Anglican Church did not steal property and churches from English Catholics. And Anglicans were not responsible for the 600,000 killed as a result of Cromwell’s invasion of Ireland – that was done by the ‘Puritans’. So how can any comparison with ISIS be possible? I think what you say encapsulates the facts. Yes, as Catholics, we can point out the errors of other Faiths (including Anglicanism) but why should we do as our old exam papers used to say "contrast & compare" one Faith with another. I know that the Catholic (Roman) Church is the One, True Church but only God knows whether He in His infinite wisdom & mercy will allow other than Roman Catholics into Heaven. Maybe Paradise as the Muslims see it exists. But PLEASE don't compare Anglicanism with ISIS, it is hurtful & UNCHRISTIAN!!!! The may thrust of my comments was to suggest to Dr Shaw that calling his blog 'LMS CHAIRMAN' might lead others (who don't see his disclaimer) think that all LMS members think as he does - WE DO NOT! Well, lets think about this David. Anglicans are baptized Christians who obstinately preach, teach, and obey errors and distortions of the truth. In a way, they should know better than ISIS. Yet, they stooped to a very low level in persecuting the Catholics. The same Catholics who they belonged to until their king had other ideas. So I think there is nothing unchristian about it here. IF you are under the impression that all Christianity is fine as long as they have "Jesus is Lord" in their set of propositions, needless to say, that is wrong. The first Apostles and Church fathers took a harsher stance toward those who proclaim heresy than they did toward Pagans. It's sad that some let the Truth hurt them rather than they repenting and returning to The Flock. It's unfortunate that with such an unloving post you throw up dividing walls among Christian brethren instead of tearing them down, for the sake of the gospel of our Lord Jesus Christ. Anglicans and Roman Catholics are fellow Christians. Why would you compare one or the other to murderers and terrorists? These are real people you are talking about. Anglicans are no more enslaved to their history or their founding documents than Roman Catholics are enslaved to the Spanish Inquisition . If you want examples of bad behavior, there are plenty of Borgia popes to go around. But Pope Alexander VI does not mean that the Roman Caatholic church is corrupt to the core, and neither does Henry VIII mean that the Anglican Church is to be compared with a 21st-century organization of terrorists. Actually, the point you are perhaps missing is that even apart from the particular examples, entire Protestantism is corrupt to the core. In other words, the founding principles of the Protestant strands are a gross distortion of Christian doctrine and a rejection of REASON. To forget that is a mistake. I am curious. Are all members of the Latin Mass Society incoherent bigots with a spotty grasp of reality? Or is it only the author of this vile (and largely inaccurate) screed? Hmm... doesn't seem we've gotten much beyond the tu quoque stage yet. Oh gosh good for a laugh. I was bought up in an Anglican Church and have no animosity against Catholics, for me and hopefully my generation it is about following Jesus, being Christians together. I have been surprised in my lifetime, once attending a Catholic Church and being told only Catholic's could receive communion (oh I thought nevermind that's not what Jesus says); then a Catholic who went to a church I attending told me her brother said she was going to Hell because she wasn't attending a Catholic Church (I was like no comprehende?). Thrilled to hear downunder in NZ recently Catholics and Anglicans 1000 of them gathering to support a move for cross party policies on Child Poverty - go the church. Also, surprised to learn my birth Father's family was Irish Catholic - seems like my anscestory gives me some claim in both denominations and was as the collective guilt of both in terms of historical attrocities. However, lets focus on the present the ISIS. As far as I understand the gospel the means Jesus proclaims for spreading involve giving your life to save and serve others. You will find in the intracies of Islamic sects verses which similarly wish to spread their faith but also include the justification of taking life in order to so. In christianity mercy triumphs over judgement. In Islam one will not know until one dies. Catholics and Anglican's alike follow Jesus and the teachings of the bible, their similarities are way more evident that their disparities if you compare them to the Islamic belief. Catholics and Arians had more in common than what we have with Anglicans. Same could be said about the Nestorians and so forth. It doesn't change the fact that those were heresies to be opposed. Also, it doesn't change the fact that from the time of the first Apostles, those who hold to heresy were considered a much grave threat than those who were pagans. As for "one will not know until dies", it is a Dogma of the Church that there is only one true Catholic Church. Others outside are saved in so far as they have done all they can to discover the truth and acted according to the truth. One cannot say that those who hold to heresy have done all they can to arrive at the truth. It is more commonly the case that they have simply settled for a lie out of convenience (family ties, incompatible personal life style, incompatible personal beliefs and goals etc) We cannot certainly say they are damned but what we should do is point out their errors and seek their conversion. We cannot sugar coat it that such individuals, driven from a distorted view of Christianity, is damaging the Church and society in the long run, right? At some point, one is going to have to cut ties with even the Anglicans and criticize them as they keep conceding every moral precept and tradition. Do you think the Anglicans will take that lightly when that happens? Anyway, I think the issue is that there seems to be an implicit assumption that Anglicanism is not a big deal compared to Islam. What people fail to realize is that moral corruption (which is a result of the corruption of beliefs of people) was facilitated by the Protestant foundations. At the time of the apostles one need only believe in the heart and confess with their mouth that Jesus Christ is Lord in order to inherit salvation and be considered a part of the one true church. It would be a grand thing to return to these basics. In terms of not knowing until one dies, Islam has no hope of salvation as provided for by belief in Jesus. As christian's who ALL fall short of the glory of God we do. Heresy I believe is no doubt an accusation that may be flung at many a christian in many a denomination accepting that individual christians in all churches hold differing perspectives on theological issues. We may be grateful that we can entrust ourselves to the One who judges justly. Moral corruption did not start with protestant foundations it started with the Fall. Having witnessed a Buddhist and close friend come to belief in Christ through the love and witness and prayers of those who belong to Anglican Church and to go on to serve His new Lord even forsaking His families heritage, I will leave it in God's hand as to whether or not He also works through the Anglican Church. I personally found it sad when once talking to a Catholic youth, 'that's great I said' you're a christian, no she said, "I am Catholic"
Your assertion that at the time of the Apostles, one only had to confess that Jesus Christ is Lord is a historical error, not to mention the logical difficulties of it given the content in the new testament scripture itself. But I suppose you will then propose that the New Testament documents were written much later from the original Apostles? In any case, I believe you need to take a look at the historical scholarship in this area. Heresy, is flung at those who hold to heresy. Protestants can't charge Catholics with heresy because that is just their personal interpretation and based on a belief system that cannot be supported by reason. Unless one thinks reason is a whore, any sensible person understands that a person who holds an arbitrary flavor of belief calling another a heretic is baseless. Catholics on the other hand have a basis to their faith grounded in reason and history. While moral corruption did start from the fall, there have always been human projects that have furthered the cause among believers. Protestantism is one such project. Now finally regarding your Buddhist friend, God can work through INDIVIDUALS in ANY FAITH!!! That does not justify their faith itself as valid to be held. Anglicanism is an error that leads people away from the truth. But certain individuals in it can be used to bring other who are very far away at least somewhat closer to the truth. Your Buddhist friend is closer to Christ than he used to be but we must pray that he will one day become Catholic. As for the Catholic youth you met, it makes me happy to hear that there are young folks like that still around. No T-C not just confess Jesus is Lord but believe in your heart also. I am not ignorant of the verse 'faith without works is dead' even though growing up protestant. I do, however, believe one must first believe and good works grow out of this belief. Belief does not grow out of good works any more than salvation does. Neither am I ignorant of history, but I do believe David O'Neill has done a good job of summing up in a 'reasonable' and balanced way the points of this argument. As I do not hold a Japanese individual responsible for the death of my relative during World War Two, neither do I hold a German born now responsible for the holocaust. We can learn from history but as for holding people now responsible for a past they had no part in? In respect to truth an error. You say a lot about this but little about the error you believe protestants to uphold or the truth so prevalent in the Catholic Church but not in other churches. I have to admit stemming as I have in my tradition of faith from the COE I would be a little foolish if I were to hold as a great source of pride the fact that my tradition first began because Henry VIII wanted a divorce : ) ... This aside I do belong to a tradition but I follow Jesus and have faith in Him, I do not worship the history of my church but The Lord of my Faith. And here I think is where we differ. You appear to hold fast to history to the extent of using it as a measure of truth. As for reason and art. Actually I am fond of both, and I go to an Anglican Church, oh my gosh how can it be? Seek understanding, wisdom is more valuable than rubies. I believe in some of what Martin Luther taught theologically and disagree with other parts, I think you would find the teachings of Anglican churches do likewise. We obviously do worship different Lord's. For my Lord would not condone coercion (such as a promise of a place in heaven) because he knew He is the Truth and thought others needed to oblige. Actually He went to His death forsaking all power/force/coercion for the sake of love which is a far greater force. I also do not see other Christian denomination's as other faiths I see them all as proponents of the gospel and my brothers and sisters. They will know you are my disciples by your love, one for another. Hence, I celebrate when we have a wedding downunder taken by an Anglican Priest and Catholic Father, I celebrate when all churches come together in my region to celebrate Good Friday, I celebrate when the churches in my area all co-operate to run the local foodbank, and I thank God I attending for ten years an Anglican Church (sorry about that) made up of people who came from Baptist, Pentecostal, Catholic, and Anglican backgrounds and we could all worship together in unity. The comments under this post are extraordinary. To all those outraged by what Dr Shaw writes I would say this. Centuries ago Protestants caused great suffering to be inflicted on Catholics in this country. If we Catholics aren't allowed to mention it, any dialogue we are engaged in is pretty meaningless. Conversely, if it helps us to understand what is going on in Iraq, we can say it had its uses. Dear Queen of puddings (love the name). Of course one can mention it, here in NZ it's more the conflict between Maori and Pakeha's (European's) which incited conflict. Dialogue, apologies and working out a way to work alongside each other is of great value. As for understanding what is going on in Iraq I believe this is the furtherest fetched part of the post, if one is truly interested in the apologetics behind Islam and its belief the book "Seeking Allah Finding Jesus" will provide a little more insight than comparing the ISIS with Anglican's. You've heard about the efforts at reconciliation that Pope Francis and ABC Justin are making? Your stuff is not very helpful in that direction but hey! why should you care - as long as you feel better for having got that bit of old-fashioned venom out of your system. "You've heard about the efforts at reconciliation that Pope Francis and ABC Justin are making?" What reconciliation is possible, given the incoherent theological premises of the Anglican Communion? Are they going to stop ordaining women? When even an ecumaniac like Cardinal Kasper is on the brink of giving up, one really does have to wonder what purpose ARCIC serves (if it ever did). Where is the venom? Where is the bigotry? I'd really appreciate it if someone could point it out in the post, because I can't find it. I think in nowadays, TRUTH is bigotry. There is nothing bigoted than telling the TRUTH as it is. We need more people like Dr. Shaw in our Church hierarchy. Hopefully Dr Shaw will elaborate when he returns from Papa Stronsay later this week. Until then I see no point in addressing the matter further. The comments on this thread is PROOF that ecumenism is a failure. It is apparent that most Catholic posters and non-Catholic posters seem to have subscribed to some form of religious indifferentism or some modernist concept of Christianity. When they are for the first time told that the non-Catholic Christian faiths are actually based on some erroneous foundation and their past deeds are brought to light, they go ballistic. Our Church hierarchy needs to understand this and end this pointless ecumenism and "dialogue" nonsense. I've followed this thread with some interest. I'm not sure that I entirely agree with the original post but the parallels interest me. I think they have some merit. I'm sorry that the standard of comments is not higher. In particular, critical comments have hardly gone any further than "tu quoque" and complaints of offended sensibilities. That's a shame. Is there nothing more? On the other hand, some of the "supportive" comments ... well, words fail me. First of all, teaching logic and debate for years at the university level, I must point out a faulty comparison. Muslims are not Christians and have a religion, which from the very beginnings, and in the Koran and hadith (I have also taught a course on Islam three times at the university level), violence is a core teaching. The laws of England in the Protestant Revolt were horrific and inhuman. To disembowel, kill by pressing or whatever, are horrific crimes against humanity, as is torture. But, the two, Islam and Anglicanism cannot be compared. The problem is the nature of evil. If you want to write about the persecution of Christians from day one, good. There is a long history of martyrdom. But, I would not compare nations, no matter how evil in law, who killed martyrs to be rid of so-called heretics, such as the empires of Japan and Rome, with Islam. Faulty comparison, although the evil and violence may seem the same at first glance. Secondly, how does this article help the discussion regarding the growing world-wide hatred of Catholic and other Christian denominations? The only way to combat this is in a two-pronged approach of evangelizing the world with the Truth of Catholicism, and personal holiness. I didn't quite follow that. Could you elaborate? Of course, Islam is violent in its inception - or, at least, from its very early days - and Christianity is not - or, at least, should not be. But it can't honestly be denied that Anglicanism was also imposed through violence. This not to deny fault on the part of catholics, or to impute a particular evil to protestants. Those were violent times - for example, the punishment of hanging, drawing, and quartering, at least, pre-dates the Tudors by several centuries (although I think crushing might have been new, then - was St Margaret Clitherow the only martyr to suffer thus?). I think that the English iconoclasm of the 16th century began with the destruction of shrines and, like the dissolution, was motivated more by greed and envy than by any kind of religion, however misguided.